VJBrendan.com: Joan Collins Joins 'American Horror Story' Season 8! Joan Collins Joins 'American Horror Story' Season 8! According to the Hollywood Reporter, Ryan Murphy has recruited legendary actress Joan Collins to join the anthology series for the next installment. 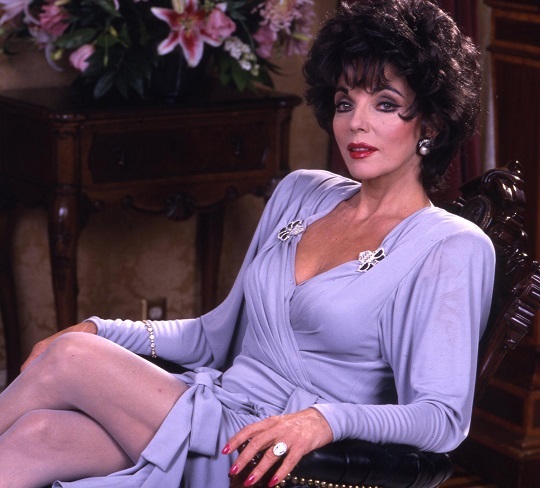 Collins is best known for playing the iconic socialite Alexis Carrington on the famed soap opera, Dynasty. She currently stars as the Grand Duchess on E! 's scripted series, The Royals. Though it's unclear what story Murphy will tackle for Collins' season, which will take place in the near future, the trade revealed that he is interested in also bringing Anjelica Huston on board. Can you say dream team? American Horror Story's eighth season will also feature AHS vets Sarah Paulson, Evan Peters and Kathy Bates in starring roles.